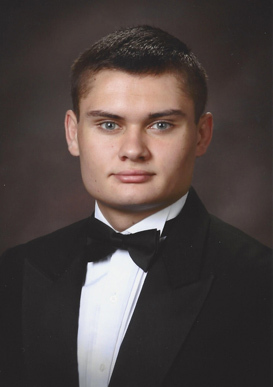 Michael Pease is a senior at Wharton High School in Tampa, Florida. Michael will graduate with a 4.0 unweighted GPA and a 6.4 weighted GPA. Michael has challenged himself, opting to take a rigorous academic course load with Honors and Advanced Placement courses. Due to his commitment to his studies, he will start college as a sophomore with academic recognition as an academic merit scholar. During high school, along with his demanding academic course load, Michael has balanced ROTC, which afforded him leadership opportunities, competed on the Varsity Wrestling team, 2 years as Varsity Captain, participated in service clubs including: National Honors Society, BETA, National Science Honors Society, and Key Club. Michael loves helping others and many volunteer hours have been centered around those less fortunate such as the children at the Children’s Cancer Center and kids from 1Voice Foundation. Each year, Michael raises money for Relay for Life and has volunteered many hours at Feeding America. Michael was honored to be accepted to the University of Florida, Florida State University and the University of South Florida. This Fall he has chosen to enter the Honors’ program at University of South Florida majoring in Pre-Med in hopes of becoming an MD with a focus in sports medicine so he can continue his life’s misson of helping others. Michael is the oldest son of Driver Engineer, Michael Pease and wife, Casie Pease.